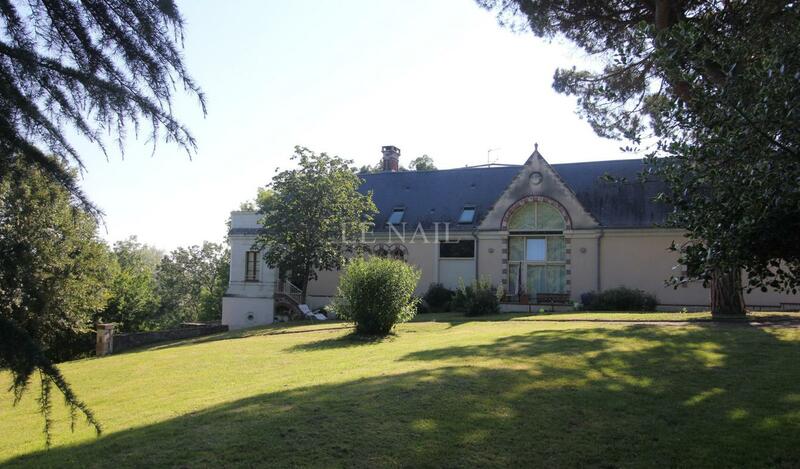 The property is located in the countryside, in a quiet area, at a few minutes from all shops and services. Angers is at about 16km. This place was originally a Roman camp. It will later become an abbey. 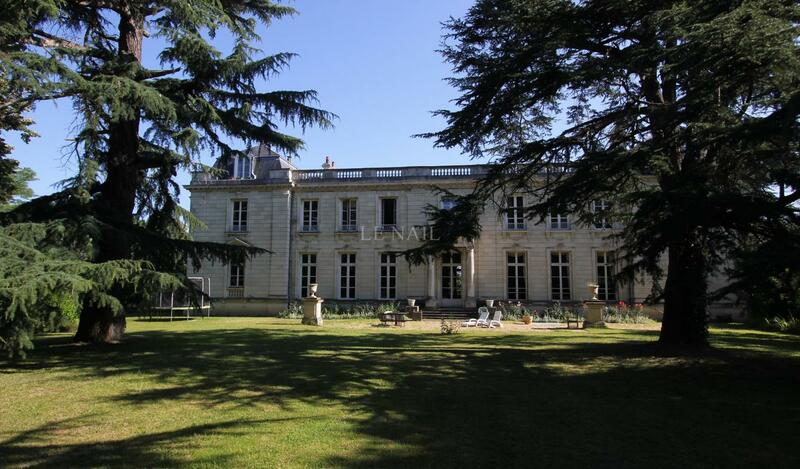 On the ground floor of its main part: a vast entrance hall distributing beautiful reception rooms and a kitchen. These reception rooms in a row, are floored with oak parquet and bathed in lights. On the first floor: served by a lift and a beautiful staircase with wrought iron railing, 7 bedrooms with bathrooms or shower rooms and wc. Above: magnificent terrace with a distant view of the Loire Valley, the meadows and the city of Angers. On this terrace, opens a rental apartment. Outbuildings comprise six large rental apartments. Beautiful park bordered by a small river. Tennis court. All in about 8 acres (3ha 26a).